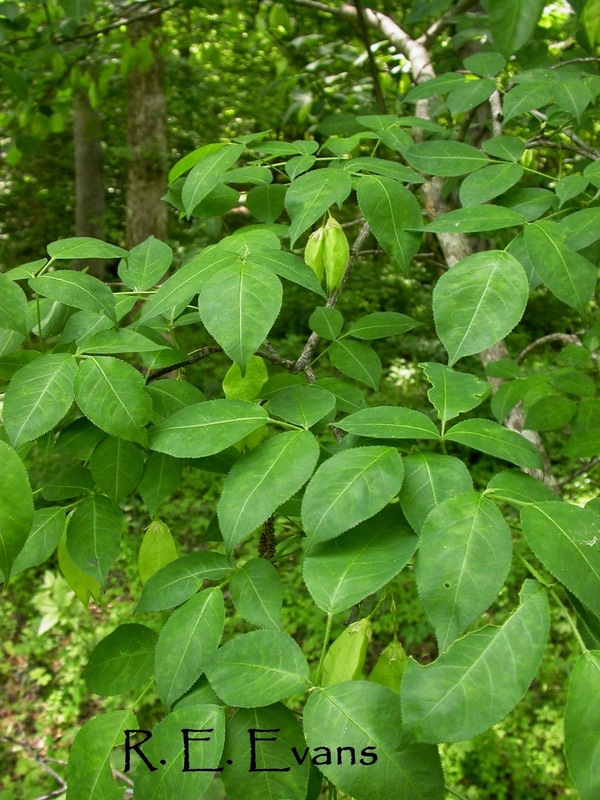 American Bladdernut is widely distributed across the eastern United States from approximately western New England across much of the midwest into eastern Minnesota. In the extreme southern US, it is less frequently encountered but is scattered across MS, AL, and into the Piedmont of the Carolinas. The presence of dangling "bladders" make the small tree easy to recognize throughout the winter. The so-called bladders are actually papery textured, three-chambered capsules enclosing one or more hard, stony seeds. I opened a handful of capsules, expecting one seed in each of the 3 chambers. 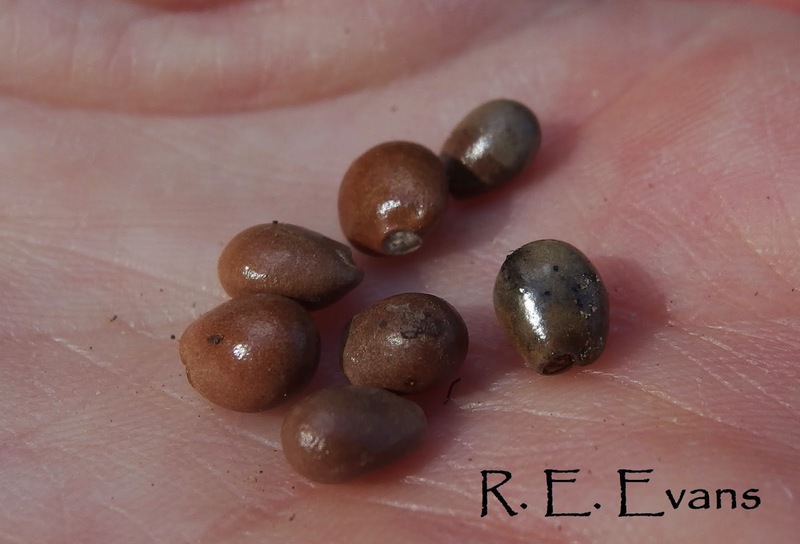 However, most had only one seed per capsule, a couple had 2, and only a single pod had 3 seeds. With a much larger sample, Harris (1912), writing in Botanical Gazette, found that longer pods tended to produce more ovules or seeds. Seeds are bright & shiny, and bead-like. Those of the European species, S. pinnata, were regularly and widely used in rosaries (Lukzaj 2009, Dendrologicznego). Celts planted them on graves and other significant sites, and fossil remains are often associated with Roman & Medieval archaeological sites, often outside of its perceived native range (see Latalowa 1994 in Vegetation History & Archaeobotany). 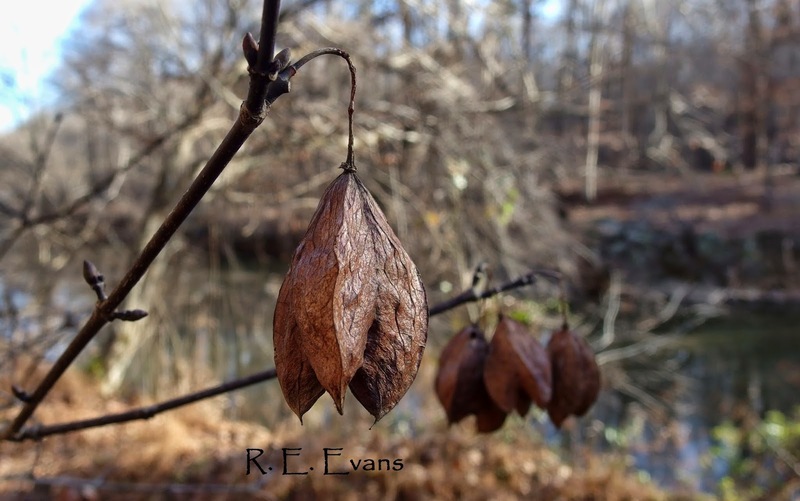 In North Carolina our species, Staphylea trifolia, is typically a "bottomland" or "riparian" species; the bladders are thought to aid seed dispersal . I dropped a handful in water and the image (left) confirms, they do indeed float! Perhaps not surprising, most naked seeds sunk rapidly. 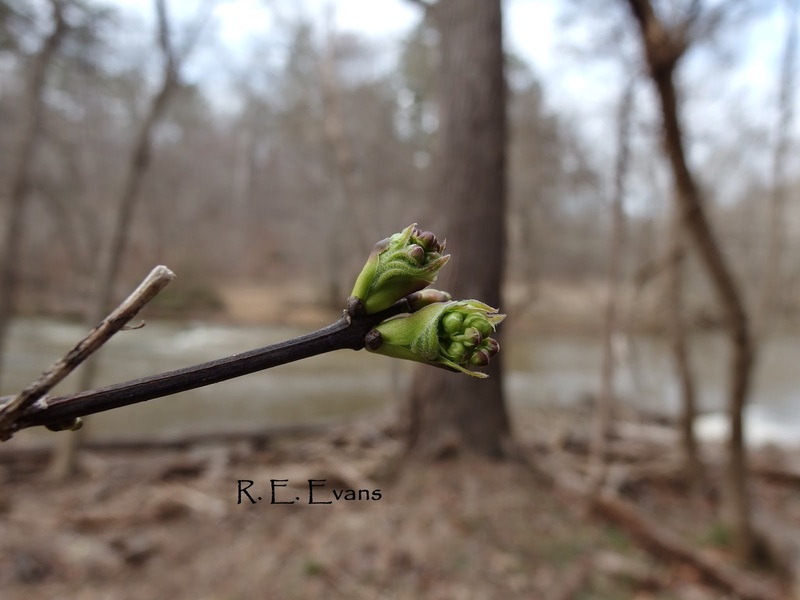 Water dispersal may explain why most of the stems I have observed along the Eno River in Piedmont of NC, are close to, or even overhanging the river. American Bladdernut has oppositely arranged twigs and buds. 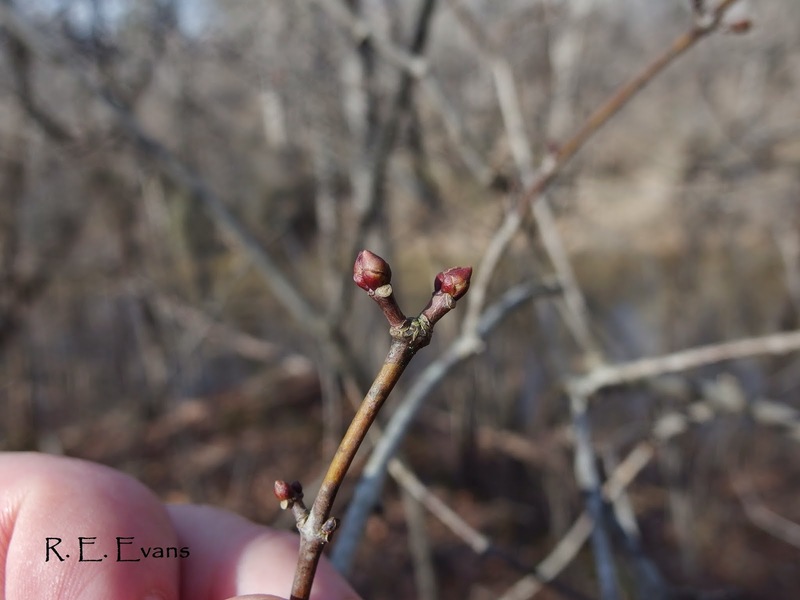 Reddish-brown buds are evident in the winter (below; Jan 25, 2015).